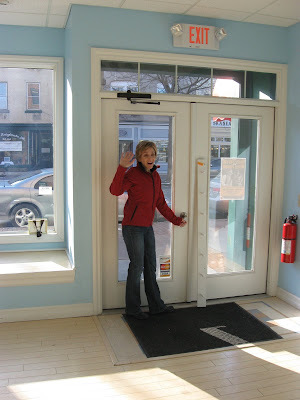 Bijou - A gem of a little salon in Skaneateles: What's happening at 6 Jordan Street?? What's happening at 6 Jordan Street?? Bye Bye Edie, we'll surely miss you!!! The gems are off the wall, ready for a fresh new look. What will it be, what color, what style...what will go in here??? I can't wait to see for myself...such a mystery...a month...it'll be a month..then we'll all see! Edie is also ready to take on a whole new life...Grand kids, leisurely horse back riding...shopping, baking...and just relaxing! What's going to happen next? Well you'll just have to check back and see what is Blooming at Bijou?? 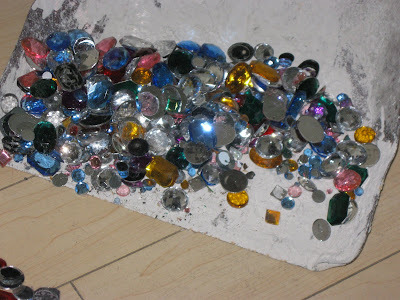 But right now, the gems are going to be used in an Odyssey of the mind skit...SO good to recycle!